First, a little background. Nearly a year ago today we launched the first Dell XPS 13 Developer Edition. This Ubuntu-based client-to-cloud platform was the result of an internal skunkworks effort, Project Sputnik. Thanks to strong community input and support the project became a product. Within a few months of launching the initial XPS 13 Developer Edition (Sputnik 1), we introduced “Sputnik 2” solving for the biggest issue with the first release, monitor resolution. Today we are announcing the availability of Sputnik 3, the XPS 13 Developer Edition featuring the 4th generation Intel processors. This laptop, which is touch-enabled, will replace the existing XPS 13 Developer Edition. And since we’re talking about systems and Ubuntu, in response to the continuous requests for a more powerful version of the Developer Edition, we have taken the first steps by doing some testing on the Precision M3800 and posting the results. This system news is on the back of our announcement earlier this week about the relaunching of the Profile Tool effort and our request for input from you all. Early next week the Developer Edition will be available in Canada. For North America, the US and Canada, in addition to the i7 configuration, there will also be an i5/128GB config that will be available on a build-to-order basis and priced at $1249.99. project Sputnik there has been a group in the community that has been asking for a “big brother” for the XPS 13 developer edition, i.e. a system with 16GB of RAM that offered a larger screen and more horsepower. With the above in mind, when Project Sputnik team member Jared Dominguez learned about the sleek new Precision M3800 that was coming out, he finagled his way into getting a system to do some testing. You can find Jared’s detailed results here but the net is “For the most part, everything [he] tested works,” the one exception being the SD card reader. The resourceful Jared then shipped his system to Chris Ball, a buddy of his that maintains the SD/MMC/SDIO subsystem of the Linux kernel, and who graciously agreed to volunteer time debugging the Linux driver for this card reader. We will keep you updated on the progress. So while Jared’s testing is not official it should be enough to get most devs going running Ubuntu on the M3800. And like the initial project Sputnik offering, if we get enough positive feedback, we might be able to offer it as an official pre-installed offering. Project Sputnik Profile Tool: Dell commits engineering resources, Docker joins the cause and we want your input! This entry was posted on Friday, November 15th, 2013 at 10:18 am and is filed under Uncategorized. You can follow any responses to this entry through the RSS 2.0 feed. You can leave a response, or trackback from your own site. Ok. Now your talkin’!!! Let’s get this show on the road! Thanks for the m3800 interest. I have been following it since it was introduced and am pulling the trigger on getting one of my own. Keep us posted on both developments. Look forward to the next entry! I’m using Linux and need a new laptop. The Dell m3800 seems to be the perfect machine, but the only thing that hinders me to buy it, is the glossy screen! I don’t need a touch-screen! Thanks, at this point as far as i know we only have the glossy screen but your input has been noted! 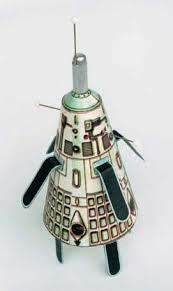 Does the Sputnik 3 and/or Precision version support setting battery charge thresholds? If not, are there plans to support this? I’d like to keep my batteries charged to 80% and when on AC for prolonged amounts of time, I set it to 45% – 55%. That’s good to hear. I would like support for changing the thresholds on demand within Linux as well like on ThinkPads. I often change the thresholds depending on my situation and sometimes having to restart is cumbersome or I just can’t due to a currently running task that could take hours to finish. Please make a matte display option. This is the only thing, that is holding me off to buy this machine. I would even do without the touch-screen and pay more for it, but I do not want a mirror!!! So I have one question: how would one get a hold of the version of the XPS13 with the 5000 graphics? The version with the 5000 graphics is, unfortunately, only available to large enterprises. Does it have a matte or glossy display? What about fixing what’s wrong with the current Dell Sputnik? Thanks Hugo, we are working on it. After having a spate of failed Precision M6500, M6600, and M6700’s and noting that while it’s bundled with Ubuntu, it’s got a 13 inch display (Hint: For developers a 15.6 or 17.2 inch display is actually VASTLY more usable…) I’m only passingly interested in this. Thanks for the input and hope to have an offering that will work for you in the future. Was hoping you guys would use a Latitude with a trackpoint and 3 mouse buttons. Hello, what is the battery life of this little jewel? We havent done official testing yet but hope to. Cmon Dell, you’ve been promising Australia these devices since the first Sputnik!! I want to support Sputnik but Dell’s thinking is a decade out of date with this region locking. We live in a global economy and developers are everywhere. Apple’s outlook is global and they sell and support products where I live, so unfortunately I will be buying another MBP I think. I hope Dell are still around and innovating when it comes time for my next refresh but they need to start servicing a global market or others will eat their cake. I too wish that Sputnik was available globally. That having been said corporate never dictates to the regions which offering they should support. The regions, based on local demand, resources etc make the call of what they will make available in their region. When this first became available, I wanted one. But couldn’t get it in Australia. Thus I got my company to buy me an Apple laptop. My family liked the Mac, and so have now all bought themselves Apple devices as well. Dell Australia lost not just me as a customer, they’ve lost my family as well. Way to go, Dell Australia! Now I’m in the market to buy a new laptop for myself: and see from this thread that I’ll most likely be getting another Apple in the next few weeks. And the graph I saw this morning (http://www.asymco.com/wp-content/uploads/2014/01/Screen-Shot-2014-01-13-at-1-13-3.09.21-PM.png) tells me that my next device after that will probably be yet another Apple one. Another disappointed Australian who will wait another month before going out and buying a MBP. I would very much like to purchase one of these. As with a previous post Dell has slowly lost my entire family to Apple. Very unfortunate. Do we still have the windows logo on the super button? I really would love to see the ubuntu logo..
Will Australia have it? If not what is the reason? Is xps13 developers edition going to be shipped in Australia? If not why? I so want to get my hands on one! Our team in Australia decided that in light of their goals and resources, they wouldnt offer it. I hope providing Linux compatible notebooks becomes even more successful and spread to their other notebooks. I’m personally hoping for their Latitude line to get the official Linux treatment. I just have to have the trackpoint an 3 physical mouse buttons. I’m very close to jumping ship from Thinkpads. The Latitudes just need settable battery charging thresholds for me to finally switch (even without official Linux support). @Rick, Thanks for the feedback! Yes, please as one of the ultraportable Latitudes to the Sputnik program. Trackpoint, 3 mouse buttons and a matte screen. Charge thresholds are excellent for battery maintenance. Can you please tell me How long we have still to wait until the profile tool would be working and we could download some programming environments ? So great. Do you have a expected date for the European 2nd wave? We can’t wait to put our hands on it. Thanks Alexis! We are a bit behind with our European launch but should have an update in the next few days. So, I just got my sputnik 3 yesterday. It’s pretty cool. I am still trying to think of a good use for the touch screen. Unfortunately, upgrading to 12.10->13.04->13.10 results in a system that will not boot. There is a kernel BUG in cfg80211_netdev_notifies_call apparently. It happens right after I see a message about loading the ufw (uncomplicated firewall) service. I am going to try and blacklist my wifi driver and see if the system will boot. Hopefully, I can troubleshoot some more after that. I think it is really awesome that you offer a high end laptop with Ubuntu installed. Because of this, I bought the Sptunik 3 three weeks ago, even though I already have a functional Asus Zenbook. Overall, I can say that I’m satisfied, especially the keyboard and screen are a lot better than the Zenbook. Another issue with the sound is the white static noise you hear if you connect headphones. I’m going to install a later version of Ubuntu, and hopefully these driver issues will be solved in later kernels. I also had some issues with the initial OEM install of Ubuntu (installation froze, had to do a hard reset), which was quite underwhelming and marred an otherwise very positive initial impression. My last issue is the widely reported “coil whine” from the backlight that users — both using Linux and Windows — experience. While I can live with it, these laptops don’t come cheap, and when you pay this much for them you expect that such issues would be found in the QA stage, long before release to customers. I appreciate your support and your feedback. Im sorry about the issues you’re facing, Im going to pass these along to the team (thanks for filing a bug report). 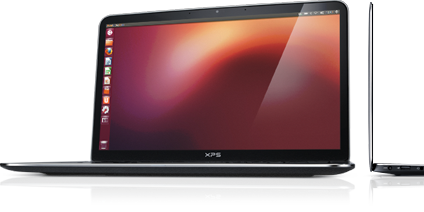 The M3800 with Ubuntu pre-installed is exactly the kind of machine I’ve been looking for! I want something built for Linux (I’m not a fan of tinkering with drivers), powerful and durable. I was considering going with a higher end Macbook Pro as something close enough, but if an M3800 developer edition comes out in the next while, I’ll definitely go with that instead. How has the feedback been for the Ubuntu M3800? Do you think you’ll be able to turn it into a product soon?